David Means is the author of four story collections. His first novel, Hystopia (Farrar, Straus, and Giroux, 352 pp., $26), is an alternative history of the seventies in which John F. Kennedy has survived multiple assassination attempts and is still president while the Vietnam War continues. Means has created yet another in a long list of novels that take us to the heart of American darkness in the Vietnam War. In this one faith in high-tech sensors designed to detect VC urination patterns goes unbounded. With our fire power and our sneaky-peepy expertise, the book seems to say, how can we lose? Well, let me count the ways. I now wish I hadn’t used the word “phantasmagorical” to describe previous Vietnam War novels. I should have reserved the word for this book. But, then again, I didn’t know this one was coming. Means has produced many brilliant short stories. Some of his most serious fans had given up on him producing the Great American Novel they hoped for from him. But here it is. And it’s a Vietnam War novel, sort of. It has everything—and I do mean everything: elephant grass, rice paddies, the Mekong Delta, jungle rot, slogging, ambushes, crew cuts, taking a hill, losing a hill, choppers, water buffalo, dust-offs. And that list is on just one page. Means’ novel is mostly about an all-encompassing federal agency that JFK has created: the Psych Corps. “Dedicated to maintaining the nation’s mental hygiene by any means necessary.” Can traumas be overcome? This novel seems to hold little hope for that. Characters opine that rich kids evaded the war and that most of the folks who went fell into the group called Mac’s morons. Means uses a lot of pop culture fodder in this book: the Phantom Blooper, Norman Rockwell, the Big Two-Hearted River, Huckleberry Finn, Tarzan, the Rolling Stones, and the Beatles. We get asked how many Vietnam veterans it takes to screw in a light bulb. The answer: You can’t know; you weren’t there. There’s lots of pontificating about what it is that makes up a true war story. Tim O’Brien grappled with that question decades ago in The Things They Carried. I believe he provided a better answer. This book lacks a story that make me care about any of the characters, even though JFK’s sister made me sad. Still, I would suggest dipping into this book and seeing what’s there. You’ll find a lot of food for thought. But I didn’t really need more of that. Or didn’t want any more. H. Lee Barnes, who received the Vietnam Veterans of America Excellence in the Arts Award in 2013, is a novelist and short story writer who teaches English and creative writing at the College of Southern Nevada. 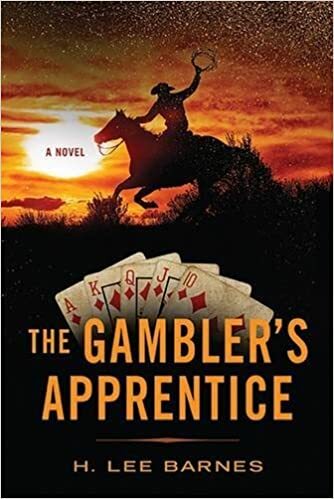 His latest novel, The Gambler’s Apprentice (University of Nevada Press, 304 pp., $27.95), is a fast-paced, latter-day Western (it begins in 1917) tale starring Willie Bobbins, a Texas teen-aged outlaw and gambler whose life turns around as a result of the 1918 influenza pandemic. “Except once in a blue moon, when else do you find a story packed with action and adventure involving big-as-life characters in settings and situations ready made for the silver screen? Moreover, the author’s powers of description rival those of Cormac McCarthy in showing that the outback of the Tex-Mex border is no country for old men, and that even young ones age quickly there. 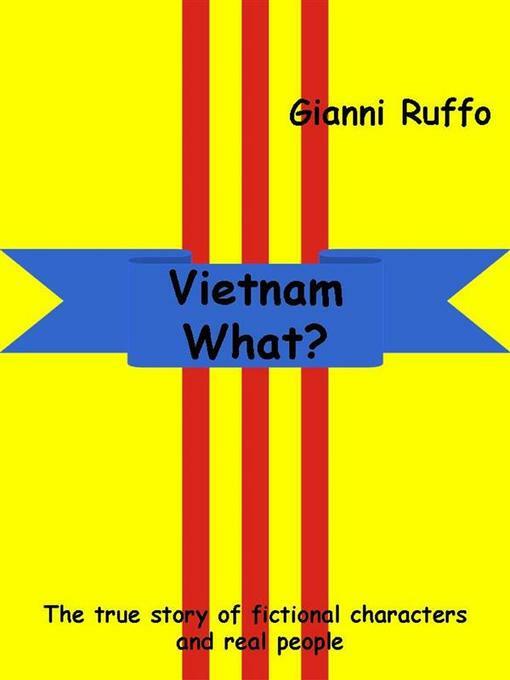 Gianni Ruffo, the auther of Vietnam What? The True Story of Fictional Characters and Real People (190 pp., $7.99, paper; $4.99, e book), lives in Campobasso, Italy, and works for a bank. He has no military background, but has always been “keen on military history,” he says, particularly World War II and the Vietnam War. He tells us he has a collection of more than 300 documentary items about those wars. The promise made in the book’s subtitle is kept in the body. We encounter many fictional characters, including Johnny, the protagonist, and we also find that the author has put to good use many of his reference artifacts, especially the books. 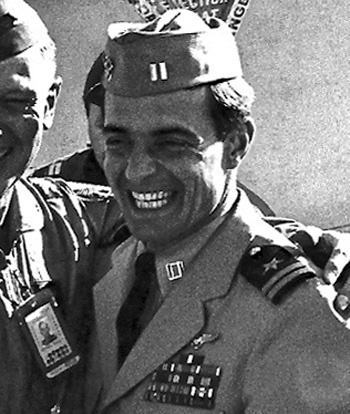 We get potted encounters and dialogue from such Vietnam War icons as the sniper Carlos Hathcock, Lt. Col. Hal (We Were Soldiers Once) Moore, and a surprise from Dieter Dengler, the German-born Navy pilot who was shot down in Laos, taken prisoner, and later escaped from his Viet Cong captors. This reader encountered too many clichés, and soon got sick of phrases such as “ready in a wink,” “saving their bacon,” and “straight from the horse’s mouth.” Johnny is a totally unbelievable CIA agent. His frequent use of words and phrases such as “knackered,” “car bonnet,” “rookies” for newbies, and “stinks like a polecat” did not help bring him to life. When he noshed on meatballs, I was tempted to quit reading. But I persisted. The book gets us to the 1968 Tet Offensive, and Johnny goes on and on about how we could have won the war if we’d only used A bombs. “A couple of atomic bombs,” he says, “could do the job.” I did hear that said from time to time when I was in Vietnam, but most folks didn’t want it to happen. Or so they said. Spoiler alert: At the end of this little book we find out that it was all a dream. I was relieved. If you are going to read only one novel or memoir about the Vietnam War, you’d do better to go elsewhere. The book did amuse, but I believe Dieter Dengler’s Escape from Laos would be a better place to start reading. Posted in Electronic Book, Fiction, Novella, Paperback, Vietnam War fiction, Vietnam War novel	| Tagged 11th Armored Cavalry Regiment Vietnam War, Carlos Hathcock, Dieter Dengler, Gianni Ruffo Vietnam What, Hal Moore, Vietnam What? The opening chapter of The Boy with a Bamboo Heart: The Story of a Street Orphan Who Built a Children’s Charity (Maverick House, 2812 pp., $15, paper: $2.99, Kindle) has a newly orphaned five-year-old Thai boy named Lek next to his mother’s flaming funeral bier in a rural Thai village attempting to hold her burning hand. He is simply unable to face life without her, a frightened boy who will be thrust into a life on his own in which he must steal to survive. Lek walks away alone, stows away on a train, and gets off at the first stop. Each rung of his life ladder to adulthood comes with a name change. His first new designation is the nom de guerre “Boney,” which the teenager acquires when recruited into mercenary action against the French. The Indochina War from 1946-54 spilled over from Vietnam into neighboring Cambodia. Suddenly Boney finds himself in fighting in the jungle. After a brutal fight he is the sole survivor of his unit. Suffering from the stresses of battle and the loss of his family leads to two suicide attempts. Taking the advice of his hospital nurse, Boney returns to Thailand. Amporn was advised to move on from his small village temple to continue his education in Bangkok, sometimes called the City of Angels. Unable to afford admission to a large temple, he joined a smaller one with only three monks, all of whom were thirty years older. “That would allow me to study without making too many demands. I was seeking intellectual enlightenment,” he writes. This led to the third name change. He was ordained as “Bikkhu Visalo” in 1958. His introduction to an English teacher was also his first exposure Christianity. He soon decided he was a “fake monk,” and decided to renounce Buddhism. This step led to his final name change, Amporn Wathanavongs. Funding for humanitarian projects was difficult to find. He was hired by the non-governmental agency, The Christian Children’s Fund, and when he retired, he chartered his own agency, The Foundation for the Rehabilitation and Development of Children (FORDEC), on Valentine’s Day of 1998. He was 61 years old. In appreciation of his work on behalf of children, King Rama IX of Thailand decorated Amporn Wathanavongs with the Most Exalted Order of the White Elephant. In 1996 he received an honorary doctorate from American Coastline University of Louisiana. I recommend this concise, well-written (with the help of Chantal Jauvin) memoir to anyone who served in Southeast Asia. All author proceeds will be donated to FORDEC, the charity founded by Amporn Wathanavongs. Dale Dye, best known as the guy who re-invented military technical advising in Hollywood when he worked his magic in the movie Platoon in the mid eighties, is a retired Marine Corps captain. He served in Vietnam in 1965 and in 1967-70 and survived thirty-one combat operations. Dye, who also has acted in many films and has written a slew of novels (including Laos File, Run Between the Raindrops, and the novelization of Platoon) is a superb story teller who gets his details and language right. Havana File (Warriors Publishing Group, 306 pp., $14.95, paper; $7.99, Kindle), the sixth book in his Shake Davis series, is a military thriller told mostly in short, snappy chapters. It moves right along from the first page. When you pick up a Dale Dye book, you know it will be professional, well-written, and a page-turner. I will emulate Dye’s style and not say too much about the story right off the bat. I was thrilled to encounter Marine Cpl. Gus Hasford in this book, but saddened when he was killed. I like how Dye uses the names of people from his time in the Marine Corps as characters’ names and how this gives the dead ones immortality of a sort. The book is about a team of Marine raiders that lands on Fidel Castro’s private Cuban island and rescue a missing American intelligence agent. It contains a fair amount of what I’d call ranting, including how ill it was to have normalized relations with Castro’s Cuba. John Wayne is mentioned. So are Jack Reacher and Jimmy Buffet. The Vietnam War appears as a scene that takes place in 1968 at the Cua Viet River in I Corps. I know that many people who have read the first five books in Dye’s fine Shake Davis series, have been Jonesing for the sixth. Here it is. It stands up well to the expectations awakened by the first five. I was happy with it and read it straight through. Thanks, Dale.